The endless abundance of love created in our hearts. “You are starved for love in America” Mother Teresa shared when commenting on the extensive spiritual poverty she found in America during one of her visits. In her view Americans were starving for love because they were missing “a living relationship with God”. I believe we Americans are programmed to look outside of ourselves to feed our desire for love and acceptance. Essentially we worship false idols. We are taught that if we make ourselves attractive, like an appealing product, we’ll attract love. We all too often look everywhere for love but within ourselves. We often do silly things to find, attract and keep love – like buy status symbols, alter who we really are, and hang on to a lover like “my precious” in Lord of the Rings. But love is not a commodity that can be possessed or controlled. 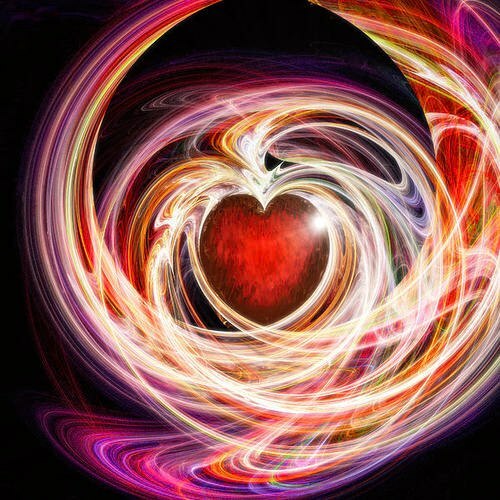 To create and experience abundant love we must cultivate it within our own hearts and spirits. We can then share it with others generously because it is abundant and renewable. Yet to share love requires us to be open to giving and receiving it. If we hide behind our walls because we fear rejection, shame or vulnerability love will not pass through. Love is truly abundant and renewable when we are willing to create, share it and let it flow. So let’s allow the love we create in our hearts flow freely out into the world to feed a world starved for love. May these ripples of love combine with other ripples to create a sea of heart based change. Such love can truly transform us and our world.